Hamza Abu Ayyash is a Palestinian activist artist born in Libanon. He lived his early life between Tunisia and Jordan and settled in Palestine in 1997, few year after the Oslo agreement, where he graduated from the faculty of Fine Arts in Nablus in 2004. As a multimedia artist, Hamza is using a variety of art forms such as painting, sculpturing, video, photography, projections and graffiti in order to express his topics that orbit around the regional identities and mythical heritage of the areas he is working at. His artworks mostly include calligraphy in adjusted forms as expressive force. 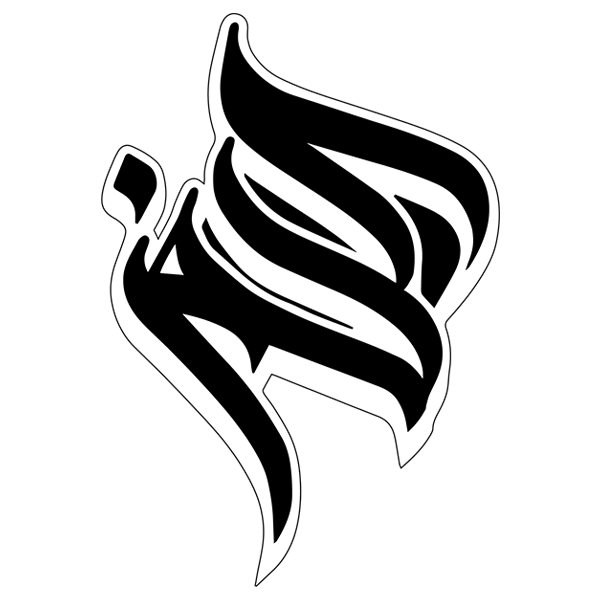 The collaboration with Hamza for Digital Calligraffiti project started in September 2016, when Hamza introduced to the Berliner scene the Arabic calligraffiti and how it could be applied via new media art form. Together with Michael Ang they developed the Infl3ctor and carried out a series of live performances.